As was suggested, I will rephrase my previous question, which is not confined in a coffin. 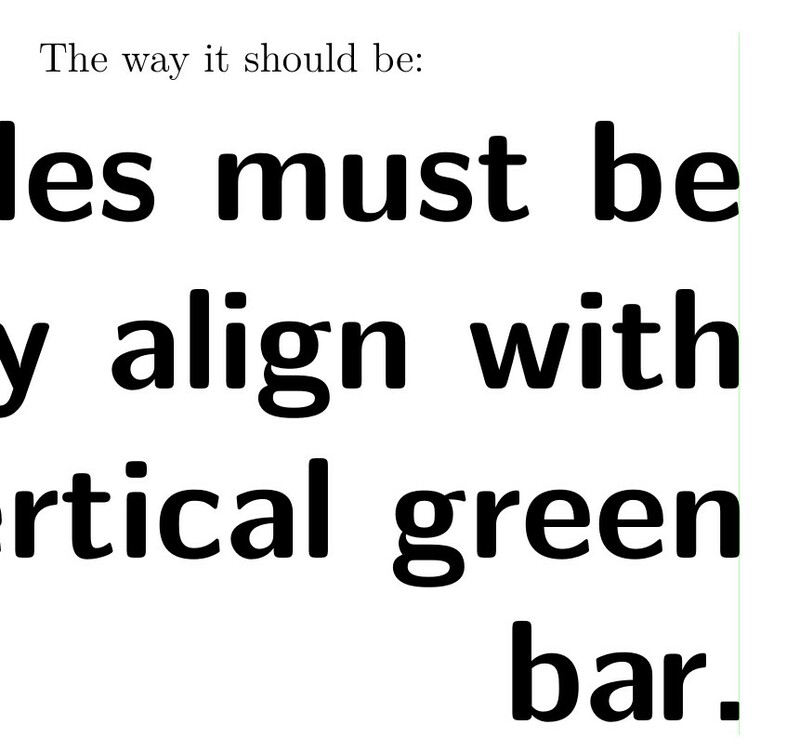 As @MartinScharrer rightly points out, I am asking how to optically align text at the margins after linebreaking, more specifically when you do not know in advance the content. This is the case in templates, where the text is provided by a user. 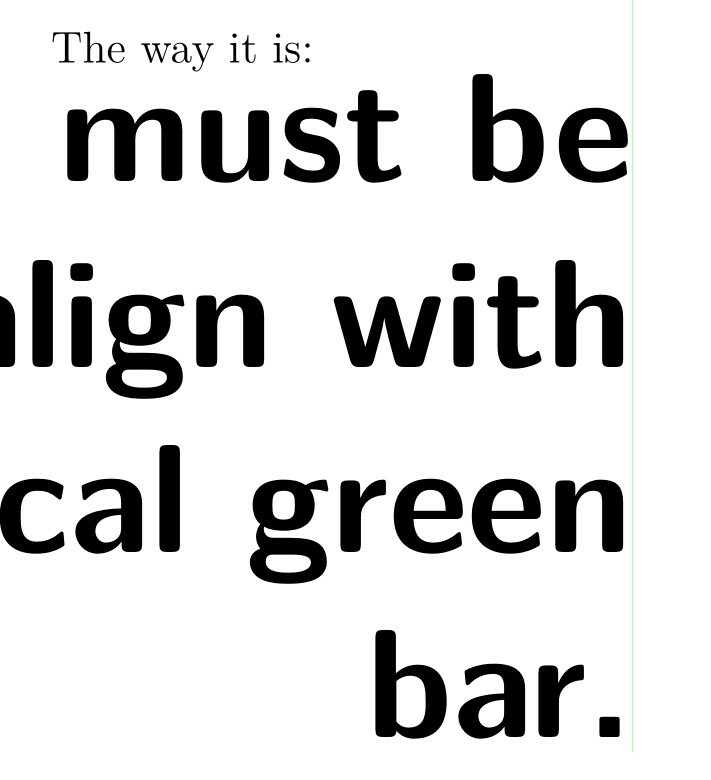 Since TeX compose with boxes, the sidebearings are always there, but they become more noticeable when using large size fonts in title pages or posters. Perfect alignment, single sentence, text unknown in advance. Variable right gaps in a multiple line title. 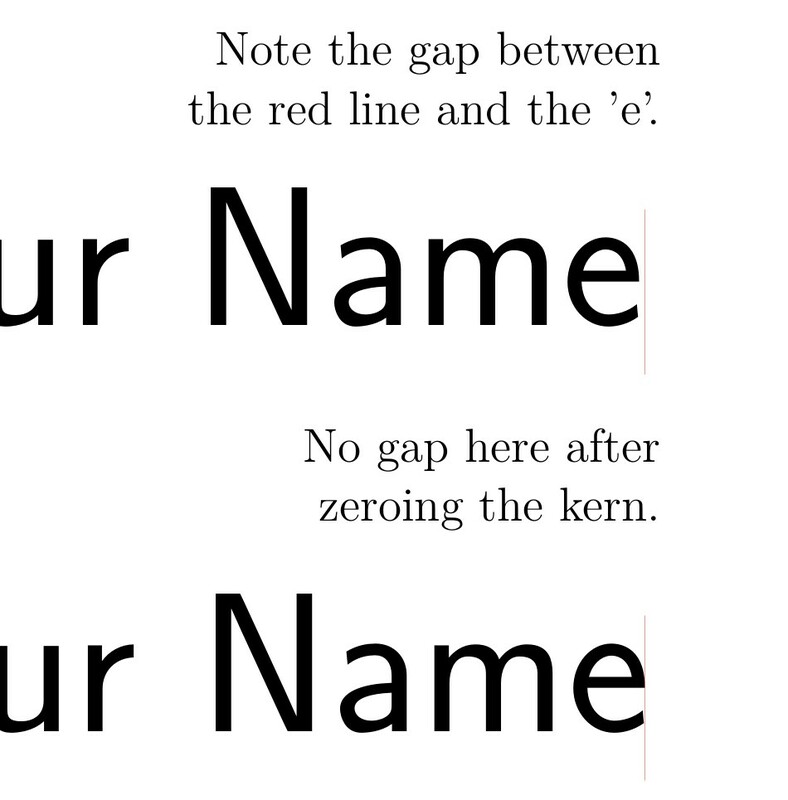 Note the gap between\\ the red line and the 'e'. No gap here after\\ zeroing the kern. In LuaTeX, you can use the post_linebreak_filter to intercept the broken lines and add some offsets. The sidebearings can be extracted from rawdata saved by luaotfload. After adding the offsets, the hboxes have to be repacked to determine the new glue settings. EDIT: The same code integrated into the original example with an added parameter \dropsidebearings. The code will only have an effect if \dropsidebearings is not 0 at the end of the paragraph. Not the answer you're looking for? Browse other questions tagged vertical-alignment titles xcoffins or ask your own question. Why is there one alignment on left, one on right, and one on left again?